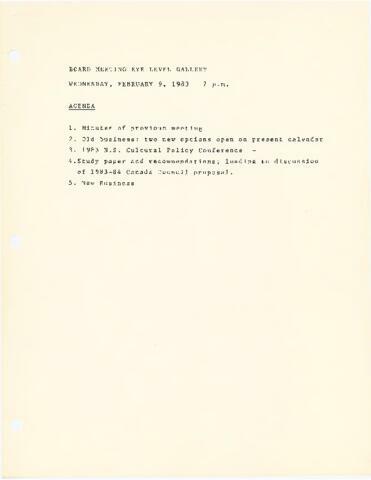 Item consists of documents related to a meeting held on February 9, 1983. The item includes a meeting agenda and meeting minutes. The main issue discussed at this meeting is a study paper and recommendations for the upcoming year at Eye Level Gallery, which is also included in this item.